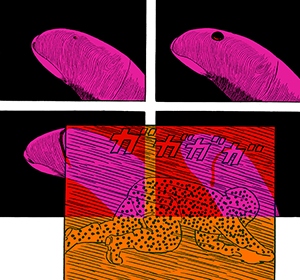 Celebrating the launch of Katsuma Susumu’s Fukushima Devil Fish, editor and translator Dr Ryan Holmberg will present a talk on Katsumata’s illustrious career as an avant-gard manga artist and his work. Katsumata was also a leading contributor to Garo. Fukushima Devil Fish includes two short poetic stories by Katsumata from circa 1980 treating the daily lives and trials of subcontracted labourers at Japan’s nuclear power plants. The title also includes an article by Dr Ryan Holmberg. Ryan Holmberg is a Lecturer at the University of Tokyo. He is a former Robert and Lisa Sainsbury Fellow and is an Academic Associate of the Sainsbury Institute.